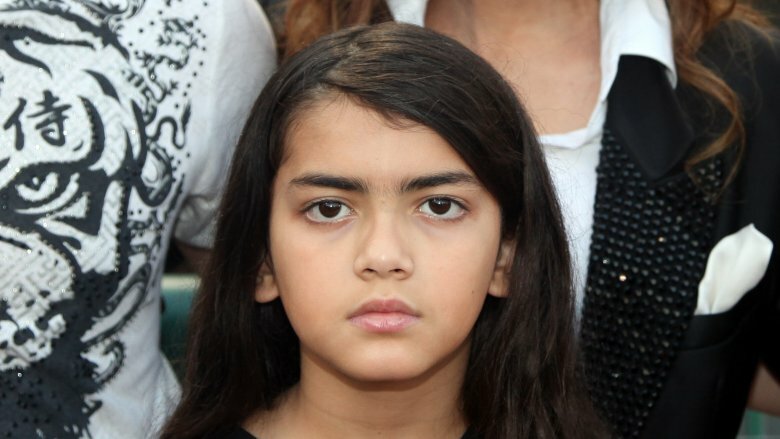 Blanket Jackson, whose real name is Prince Michael Jackson II, was born Feb. 21, 2002. His debut on the world stage, however, would come nine months later, thanks to the infamous moment when his father, Michael Jackson, precariously dangled him over the balcony of a hotel room in Germany. Since that terrifying incident, the world has been borderline obsessed with details about the King of Pop's youngest child. Here are some interesting facts about Blanket. Okay, yes, Michael does, but you know what we mean. During the 2003 documentary, Living With Michael Jackson, the pop legend opened up slightly about Blanket's mother. He told British journalist Martin Bashir, "I used a surrogate mother with my own sperm cells… I had my own sperm cells with my other two children, they're all my children, but I used a surrogate mother. And, uh, she doesn't know me, I don't know her." 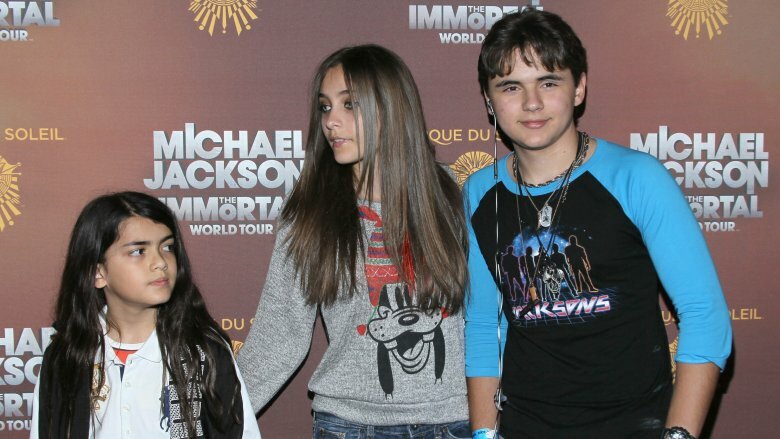 Michael said Blanket's mom was selected based on her health, specifically her good vision, as well as her intellect. He also claimed Blanket's mother is black. Aside from his comments in the documentary, there is no other public information about Blanket's mom, not even a name on his birth certificate, but the secrecy surrounding her identity has not stopped the internet from theorizing who she really is. The prevailing theory came from a dubious 2009 Mirror article, which postulates that a "a pretty Latino nurse" named Helena was the surrogate, although she was not the egg donor. Helena was supposedly paid $20,000 and "lavished" with "gifts, generous expenses and staff to see to her needs." Granted, this is all purely speculative, and obviously gives no indication as to the identity of Blanket's biological mother. If the mystery surrounding Blanket's mother seems strange, it's nothing compared to online theories that Michael isn't even Blanket's biological father. One of the more ludicrous suggestions, pushed originally in a since-deleted article in The Sun (via The Telegraph), is that actor Macaulay Culkin, Michael's long-time friend, was the sperm donor. The Home Alone (1990) star, who is also the godfather to Michael's two oldest children, Prince and Paris, declined to comment on the claims "out of loyalty" to his late friend. In another strange twist on the tale of Blanket's paternity, Michael's former bodyguard, Matt Fiddes, claimed in court documents obtained by TMZ that he donated sperm to the "Thriller" singer in 2001. Fiddes claimed he did not "want to create a war with the Jacksons again about something so private," but he would be willing to submit to a paternity test and "make a play for guardianship" should "something drastic" happen to Blanket's current legal guardians. How did he get the nickname Blanket? For many years, Michael covered his children's faces in various ways when they went out in public. Using shrouds and masks, the Jackson children were obscured from the press in order for them to have "their own life without [their father]," according to eldest son Prince, who spoke with the Los Angeles Times. Blanket's head covering was usually, well, a blanket, leading many to think this was the reason for the child's odd nickname. In reality, the name's meaning goes a little deeper than that. In the previously mentioned documentary, Michael said he gave the child the cozy-sounding moniker because "it's an expression" that he uses for his family, meaning that "a blanket is a blessing," and that calling someone "Blanket" is a way of "showing caring." Apparently, the familial comfort of his nickname lost its shine over the years because Blanket supposedly changed his nickname to "Bigi" as of June 2015, according to Radar Online. The gossip site claims to have exclusively obtained a yearbook entry that shows the youngest Jackson alongside the new name. 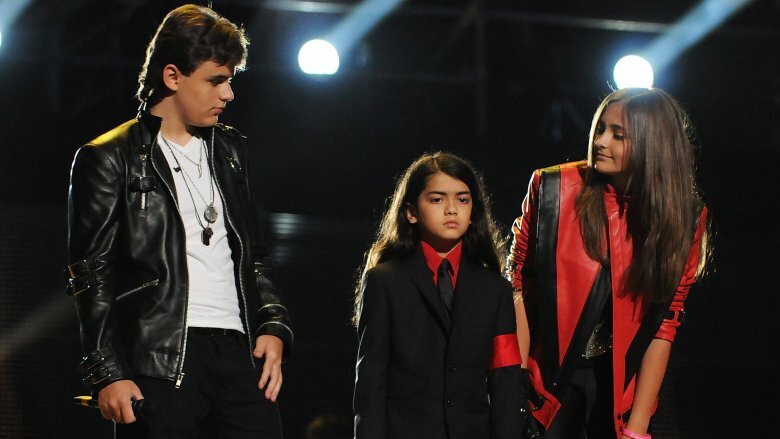 People reported the name change, too, noting that Blanket was bullied over his original nickname. "He always thought that the name Blanket sounded so stupid and resented his father for calling him that," a source told Radar, adding, "Growing up, his school mates have always been slightly mean to him because of their jealousy over who he is and going by Blanket made him a much easier target for ridicule." There's no word yet on whether the "Bigi" handle draws less criticism, but we doubt it, because teenagers are terrible. Grandpa Joe thinks he's "the next Michael"
In a preview clip for Remembering Michael—the crowd-funded, Katherine Jackson-produced documentary—Blanket's grandfather, Joe Jackson, talks about the striking similarities between his son and grandson. "They also said there will never be another Michael Jackson, and I say 'We already have one.' But he just has to be trained," the Jackson patriarch remarks over footage of Blanket signing autographs. 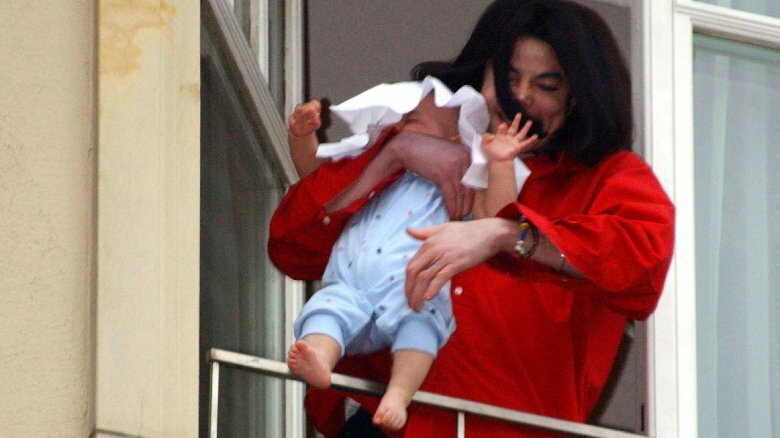 That imagery prompted some raised eyebrows over the possibility of Joe recreating Michael's turbulent childhood with Blanket. In response to backlash over the possibility of Joe grooming Blanket (or any of Michael's kids) for potential music careers, a rep for the Jackson family spoke to TMZ and said Katherine "hopes fans don't think anyone like Joe or the family is pushing the kids." As of this writing, Michael's kids have yet to follow in his hit-making footsteps, but it does seem like Papa Joe was onto something in regards to Blanket's God-given talents. Though he's lived a relatively secluded life, during the times Blanket has appeared in public, he's certainly made a splash. One of his first major public speaking engagements was the Michael Forever Tribute Concert in October 2011, when the then-9-year-old spoke to the crowd, saying, "We're very happy to introduce our father on this special night." Older sister, Paris, quickly retrieved the mic and corrected that obviously awkward statement by saying, "We're very happy to be here on this special night to honor our father." 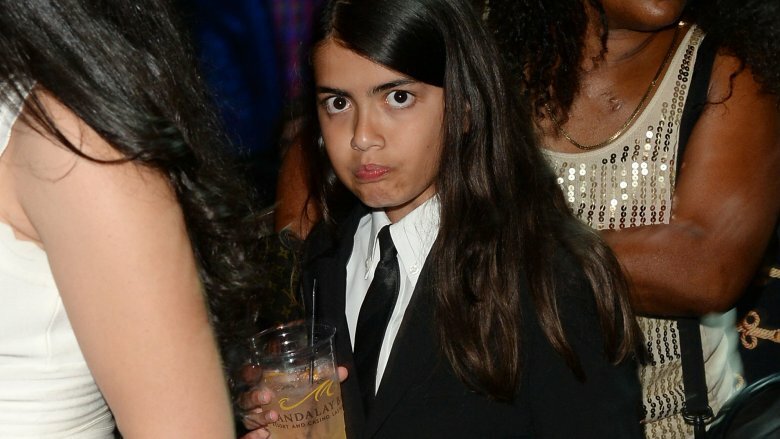 So okay, maybe the kid flubbed a line, but according to People, Blanket's real performance took place backstage, where he was caught "dancing and spinning" in what a bystander described as "an exact Michael Jackson dance." Perhaps the littlest Jackson doesn't want to be a performer, or perhaps he's just waiting for the perfect time to reveal his alleged genetic gifts to the world. Though Katherine (Michael's mother) and Debbie Rowe (the biological mother of Prince Michael and Paris) reached a custody agreement relatively quickly after Michael's death in 2009, controversy over custody of the famous brood didn't stop there. In 2012, following a bizarre incident involving Katherine's alleged kidnapping, cousin TJ Jackson (Tito's son) stepped in and took over temporary custody of all three of Michael's kids. A joint custody agreement between TJ and Katherine was eventually arranged, but guess what? The drama still didn't end there. In 2013, another cousin, Anthony Jackson II, petitioned for custody of all three kids, although according to TMZ, TJ said Anthony "never explained why" he sought custody. 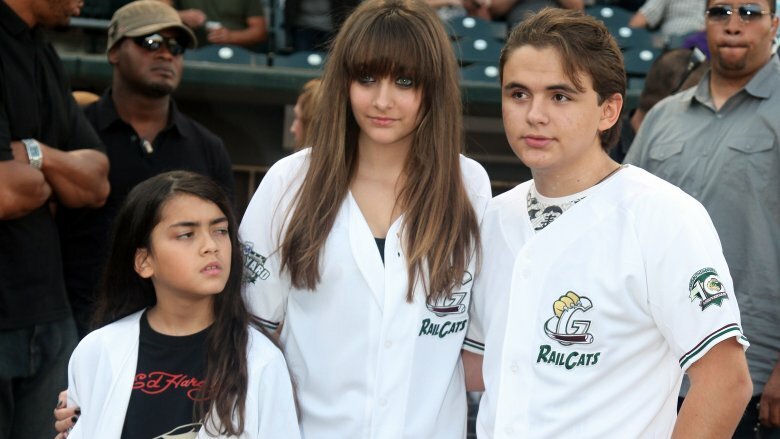 Then, in 2014, sources supposedly close to Rowe told TMZ that she had changed her mind and decided Katherine was "way too old to serve as guardian" and TJ was "on tour and away from the kids for long stretches," leading to the possibility that she may petition for custody of all three kids at some point, even though Blanket is not even her biological child. Though the media treated each potential custody shake-up as a major event, both Anthony's actual petition and Rowe's hypothetical one went away with a whimper. As of this writing, Prince Michael and Paris are both old enough to no longer require legal guardianship, while Blanket, who turned 15 in 2017, is reportedly still under the joint custody of Katherine and TJ. Is he living alone in his grandma's house? 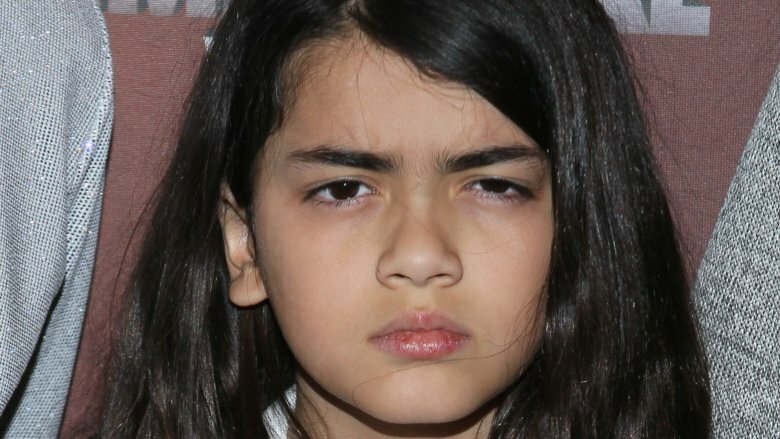 Rumblings of the inadequacy of Blanket's guardianship reared their head again in 2017 when sources supposedly close to Paris told TMZ she was "deeply concerned her little brother, Blanket, is essentially living alone." The accusations sound similar to Rowe's alleged concerns from three years earlier, with sources telling the gossip site that Katherine and TJ's long absences from the Calabasas, Calif. residence result in Blanket sometimes "living without real family." Of course, this is all speculation, but Page Six also ran a similar story, painting Blanket's current living situation as solitary and supposedly kind of sad. "This poor kid, he fends for himself… There's no one to make sure he's even eating right," said a source who claims to have "worked with the Jackson family for nearly three decades." The insider added, "If you call a bowl of cereal or a Snickers bar a meal, then I guess he's OK."
The tabloid also reported that Blanket's daily schedule consists of school, followed by martial arts practice, then evenings playing video games in a mansion that boasts "a part-time chef, three housekeepers, and a five-person security team who rotate shifts." So, he's a teenager who has no authority figures around, who eats whatever he wants, and plays video games all night long. Yep, sure sounds like a nightmare for him. 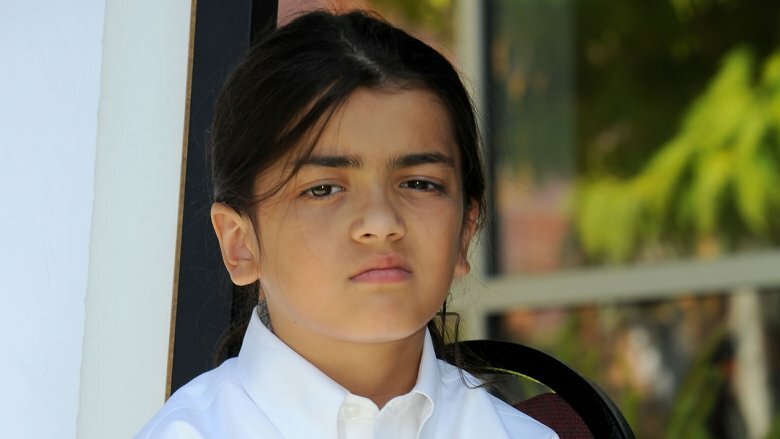 TMZ reported that Blanket has already earned his black belt in karate. In fact, he was snapped in June 2017 leaving a Los Angeles martial arts studio, sporting a black belt with a white stripe, which supposedly means he's achieved the level of "master" black belt. According to wikiHow, this may not be accurate since "each karate style has its own ranking system and within those are variations between organizations and even individual dojo." While Blanket may or may not be a "master" black belt, he still undoubtedly knows how to hold his own in hand-to-hand combat. One wonders if those mean kids who made fun of his name would change their tune today. Though he has no official social media accounts, the Instagram account, bigijacksondaily purports to be a tracker of the youngest son of the "Bad" singer and indicates that he's living a relatively normal teenage life. There are posts of him hanging out with friends and going to karate class, and there are throwback pictures of him and his siblings with their dad. Whether Blanket, Bigi, or whatever name he eventually chooses to stick with becomes the pop royalty that his grandfather and uncle are predicting remains to be seen. For now, it's just nice to see he hasn't succumbed to the problems of other celebrity offspring.